Listening to the radio yesterday, both issues of Australian management performance and also chef working in the kitchen were discussed yesterday on ABC Radio National’s program Life Matters, referring both to Australia’s mediocre management results and also the success of the chef Greg Mehigan at giving feedback. This reminded me of my admiration for those working in kitchens to show the way forward with practical management of their people. I am a great foodie, a sucker for good-looking and tasting food and have become quietly addicted to some of the better food TV shows. And even in my private reverie, I have realized that some of our more famous TV chefs have a lot to teach us about managing people. They remind us that in a fast-moving and competitive consumer business of dining, that there is no room for poor performance, and sloppiness has the potential to kill an enterprise pretty quickly. 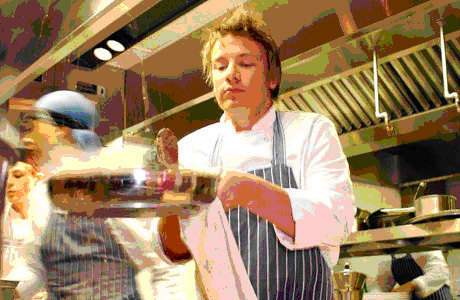 Take my favorite Jamie Oliver, and his approach to managing his FIFTEEN apprentices in his program of the same name. The deal was that fifteen aspiring and lucky young unemployed people were chosen to work with Jamie Oliver to fast-track through cheffing basics within 8 months with the aim of working in his new upbeat and happening restaurant Fifteen. It quickly became apparent that proportion of those chosen had no understanding of the basic requirements of the world of work, such as turning up on time, or even, turning up at all. No problem, says Jamie. His response was to immediately ring the absentee, talk with them about how to solve whatever their current problem was to get them back to the kitchen quickly. He must have also started to realise the meaning of the 80/20 Pareto Principle: that 20% of the people need 80% of your time and energy. He showed diligence and tenacity in chasing up the same offenders with increasingly doubtful excuses, gave each person the benefit of the doubt and showed trust in their potential. For those who did turn up, he gave plenty of advice, support and encouragement for their work but was not shy of telling his apprentices if what they were doing really didn’t measure up. However, these moments were limited and used to best effect by showing them exactly what he wanted from them, not just expressing his dissatisfaction. In our increasingly convoluted and politically correct workplaces, this refreshing approach seems more and more distant- unattainable. My guess is that it is because our workplaces have become larger, the purpose of our work more indistinct and our communication more impersonal. We have a layering of barriers as we become increasingly more disconnected from our purpose and the people we are supposedly working to help. In addition, much of the work being conducted in offices is increasingly conceptual, happening in our heads, without much practicality or connectedness to the more tangible world. For example, working in the areas of government policy, marketing, advertising, economics or even HR can be a jargon-filled, guessing game. Is it any wonder then that being able to have a straight conversation that names the issue and the possible solution is so difficult? And then you have the additional underlying problem that is becoming all too common – those people who don’t wish to take responsibility for their actions or their impact on others. Those delightful folk who lack personal awareness and make other’s lives difficult by either continuing to refuse change, to accept direction, to play the “poor me” role or who bully everyone. These are difficult situations to deal with but not impossible. However, the only way to deal with performance at work is to deal with it. Sounds obvious but quite difficult to do, particularly when we have the dreamy conceptual world beckoning, dragging us back into our heads or more jargon-filled conversations. Deal with problems immediately when they arise. Do not stew over the problem or push it under the carpet. This sounds very obvious but we all have experience with the power of our minds: these problems develop into monsters very quickly and mostly, the reality is actually much easier to deal with than the wildest fantasies in our minds. 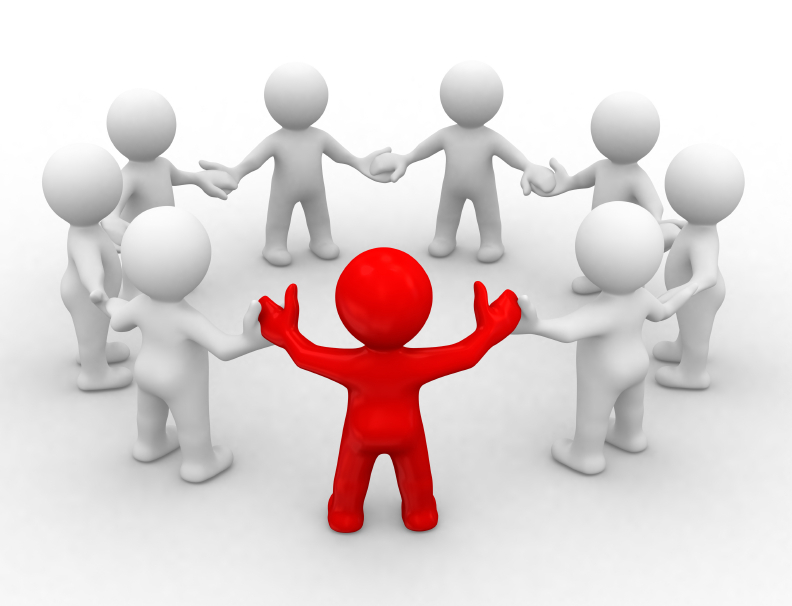 Take the person aside privately and indicate you would like to talk with them. It is also important that you can be very specific about the details of the problem. Good also if the person that you have the problem with to be able to accept what you are saying, even if they don’t agree with you. You could try to gauge their level of willingness to make a change or an improvement to their performance. Without willingness, nothing will happen. This can also be a test for you to know how well you understand your own expectations of others, and how clearly and objectively these are communicated to others. Do you have a clear standard that is enforced, and also one that people are rewarded for achieving? It is objective or is it driven by personality and the way you like things? Make an agreement with the person, if you can, about what difference you want to see and by when. You may also need to help the person to achieve this if there is a barrier – lack of understanding, skill, money or perhaps even good old-fashioned confidence. Plenty of praise and encouragement when you start to see changes will be very important, although make this genuine and not too over the top. You must stick to your side of the bargain if you expect that they will do the same. It would be prudent to make records of all of your conversations and ensure the other person has a copy of these also. Are my expectations realistic? Could I make smaller steps to make it more achievable? Are they understood by the other person? Does the person really have all the resources needed to achieve what I want them to do? Is this type of work really suitable for this person? Do they have the style and temperament for the work or are they really a square peg in a round hole? If yes, can I change the job to suit or not? Is there a deeper personality or other conflict going on here, not to do with this job? It may be that you come up with a negative for each of these questions. There are some problems that don’t have an easy answer. It may be that the person needs to move on or move out. There is a lot of fear about facing this, particularly with those working in government and other similar institutions. This is an OK outcome and you can rest easy if you are certain you have tried to resolve this problem with all your energy, ideas and care.